The social security reform proposal is expected to be presented to Congress by late February where it will need to be approved by the Chamber of Deputies and the Senate. 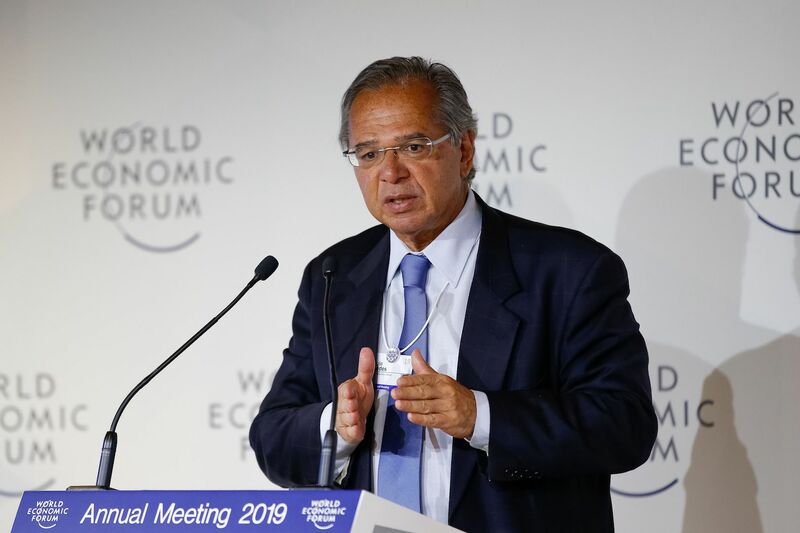 RIO DE JANEIRO, BRAZIL – Much of Brazil’s deficit may be eliminated with swift, effective measures, according to Economy Minister Paulo Guedes. Among the measures the Brazilian government is promising to implement are a social security reform, oil concessions and privatizations of state-owned companies. “More than half of the deficit we will eliminate with the pension reform. We have many concessions for oil. The other half of this, we will eliminate this year with oil concessions and a huge list of privatizations. So, in terms of money, we will clear the deficit this year. We will work like the big private companies with bold goals,” said Guedes on Wednesday during an interview to Bloomberg TV. According to the minister the priority will be structural reforms to reduce public spending. The primary deficit target for this year is R$159 billion. The social security reform proposal is almost ready, say government officials, and expected to be presented to Congress by late February. But according to analysts the reform may take several months to pass through the Chamber of Deputies and the Senate. Guedes also said that his economic team could cut about US$10 billion worth of subsidies, but said the cuts would be for a later time, so as not to ‘lose political support’ for the social security reform. Unlike President Jair Bolsonaro’s speech to the World Economic Forum, which disappointed many in the market, Guedes’ interview was well received by the market. Brazil’s Ibovespa Index register a new record, surging by 1.52 percent to 96,558 points.